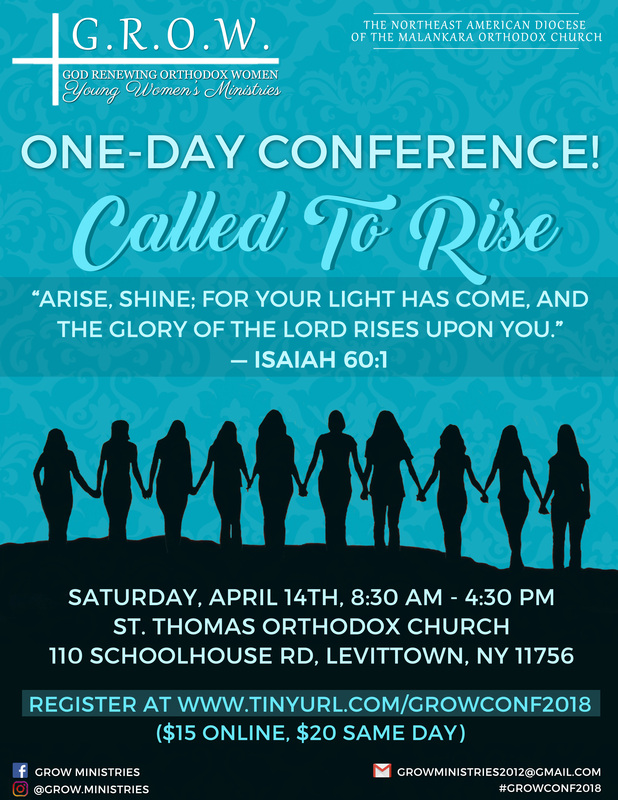 The G. R. O. W. (God Renewing Orthodox Women) Ministry of our Diocese, will be conducting its 7th Annual One Day Young Women’s Conference on Saturday, April 14, 2018 at our Saint Thomas Orthodox Church of Long Island, located at 110 School House Road, Levittown, New York. The theme for the conference is Called to Rise – “Arise, shine; for your light has come, and the glory of the Lord rises upon you” (Isaiah 60:1). There will be also be workshops facilitated by our clergy. All of the priests, deacons, and young women of our Diocese are requested to attend, and reap the benefits of this conference. For more information, please click to read the Kalpana and see the flyer.